Ring silver & gold. Page 1. 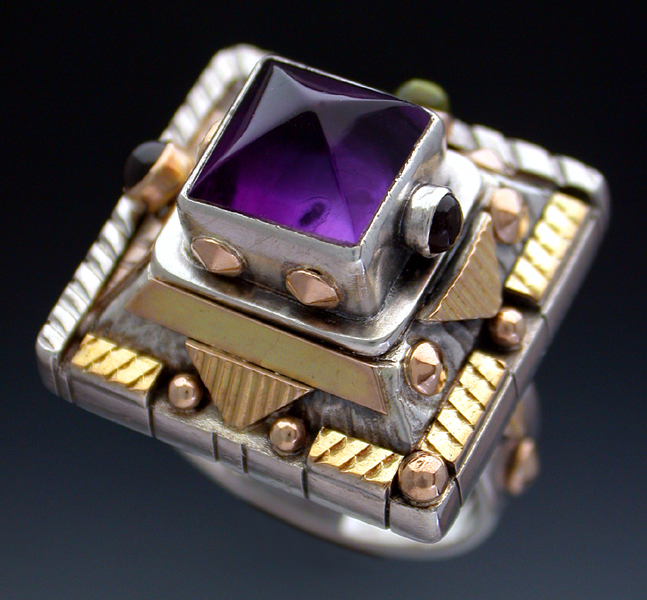 Handmade one of a kind designer silver and gold rings set with gemstones. 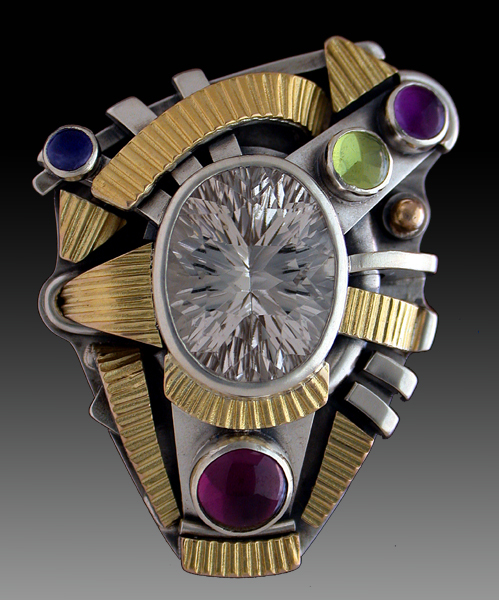 Judaic Jewelry, Large Boho Rings, Dramatic rings, Mix gemstones rings, Fabulous rings, Fine art rings, Judaic rings, Artistic rings, Pop art rings, Steam-Punk Rings, Statement rings. Ring silver & gold. Page 2. Page 3. Page 4. 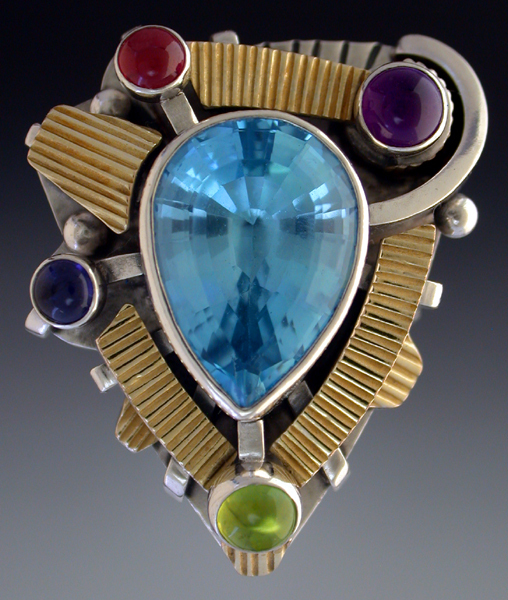 Dimensions: 1" 3/16 x 1" x 7/16"
Materials: Sterling Silver and 14K Gold set with Ametrine, Peridot, Iolite, Garnet and Blue Topaz. 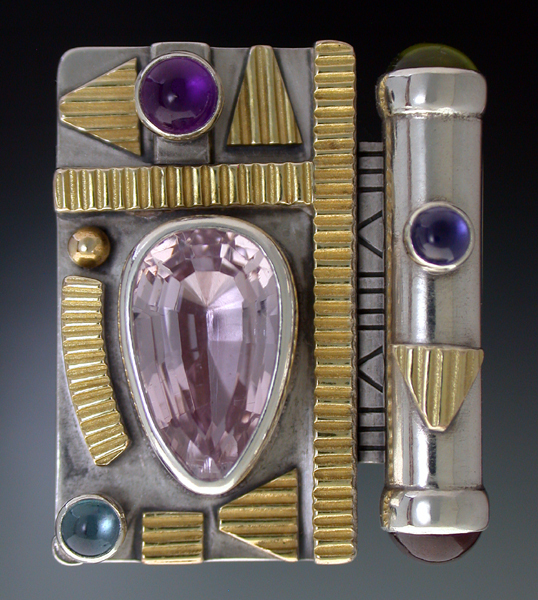 Dimensions: 1" 7/8 x 1" 3/32 x 3/8"
Materials: Sterling Silver and 14K Gold set with Amethyst, Pink topaz, Iolite, Citine and Tourmaline. 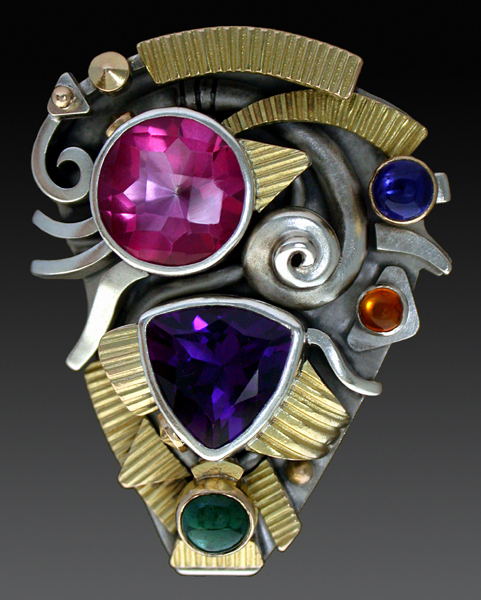 Dimensions: 1 5/16" x 1 1/16" x 7/16"
Materials: Sterling Silver and 14k gold set with Blue Topaz, Amethyst, Iolite, Garnets, and Peridot. 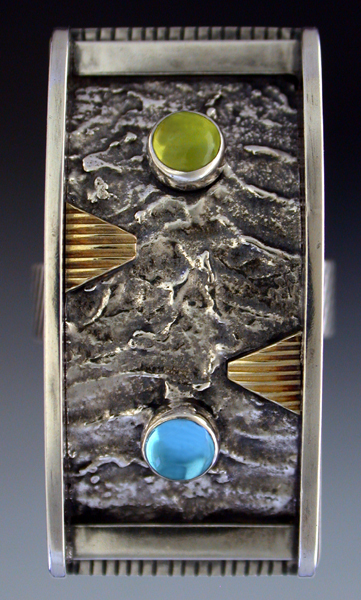 Materials: Sterling Silver and 14k Gold set with ,Peridot and Topaz. Dimensions: 1" 3/16 x 1" x 3/8"
Materials: Sterling Silver and 14K Gold set with Pink Topaz, Amethyst, Green Tourmaline and Honey Citrine. 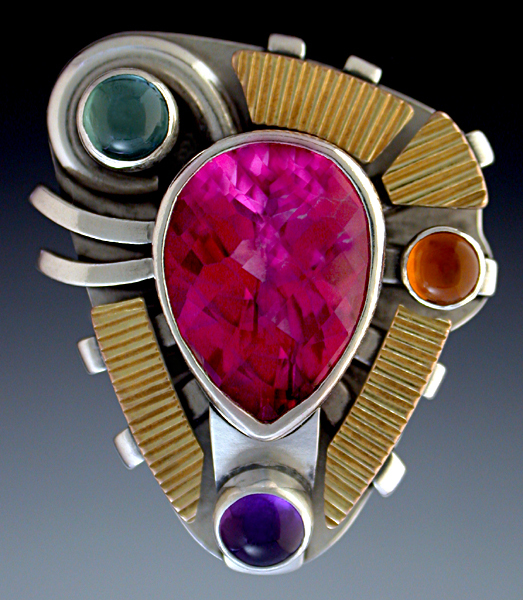 Materials: Sterling Silver and 14K Gold set with Triplet Opal, Garnet and Citrine. 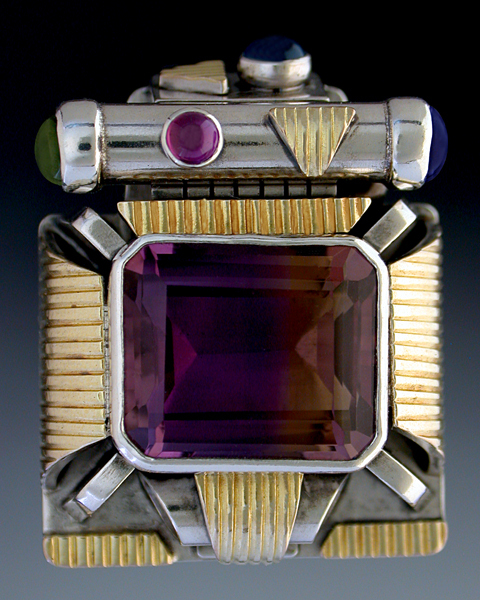 Dimensions: 1" 1/32 x 7/8" x 5/16"
Materials: Sterling Silver and 14K Gold set with Pink Kunzite, Amethyst, Blue Topaz. Iolite, Garnet and Peridot. 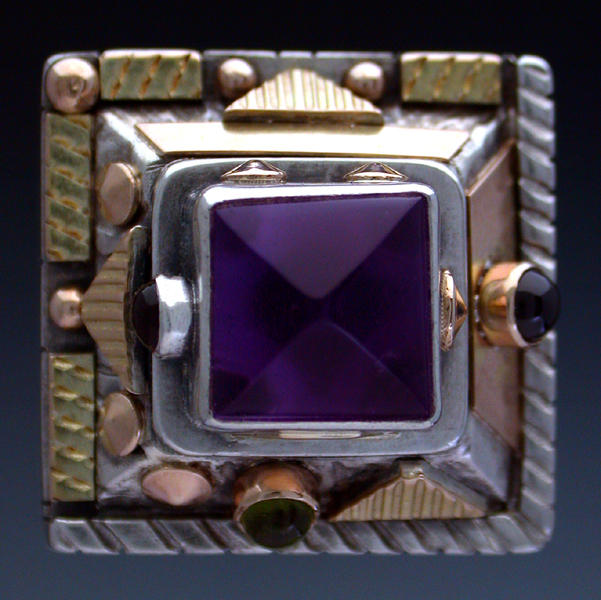 Dimensions: 1" 1/2 x 1" 1/8 x 7/16"
Materials: Sterling Silver and 14K Gold set with White Topaz, Garnet, Amethyst, Peridot and Iolite. 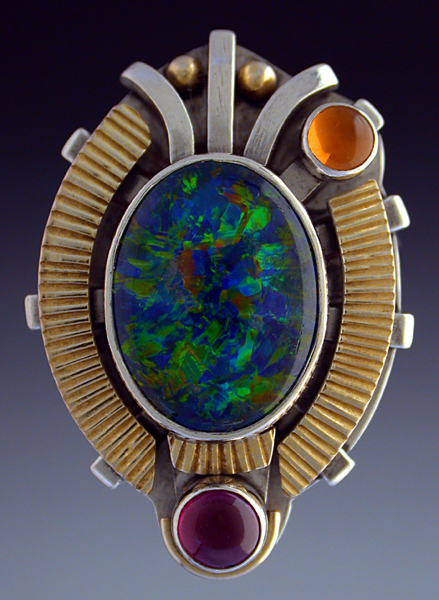 Dimensions: 27/32" x 13/16" x 21/32"
Materials: Sterling Silver and 14K Gold set with White Amethyst, Peridot and Garnet. 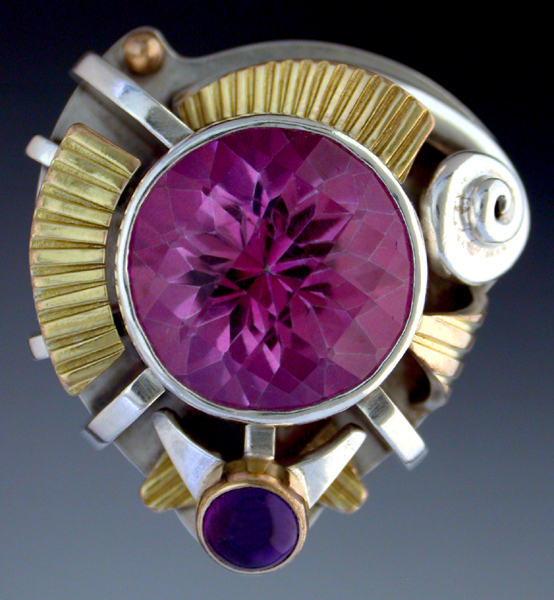 Dimensions: 1" 1/16 x 1" x 1/2"
Materials: Sterling Silver and 14K Gold set with Pink Topaz and Amethyst.